Rosenda Strong, a 31-year-old mother of four, went missing last month. Strong is among 23 Native American women or girls who have been murdered, gone missing or suffered mysterious deaths on or near the Yakama Nation Reservation, according to a list maintained by the Yakima Herald-Republic. WAPATO, Yakima County — Rosenda Strong was last seen on Oct. 2, getting into her friend’s Nissan and heading for the Legends Casino in Toppenish. The 31-year-old mother of four is the most recent indigenous woman to have gone missing near the Yakama Reservation. 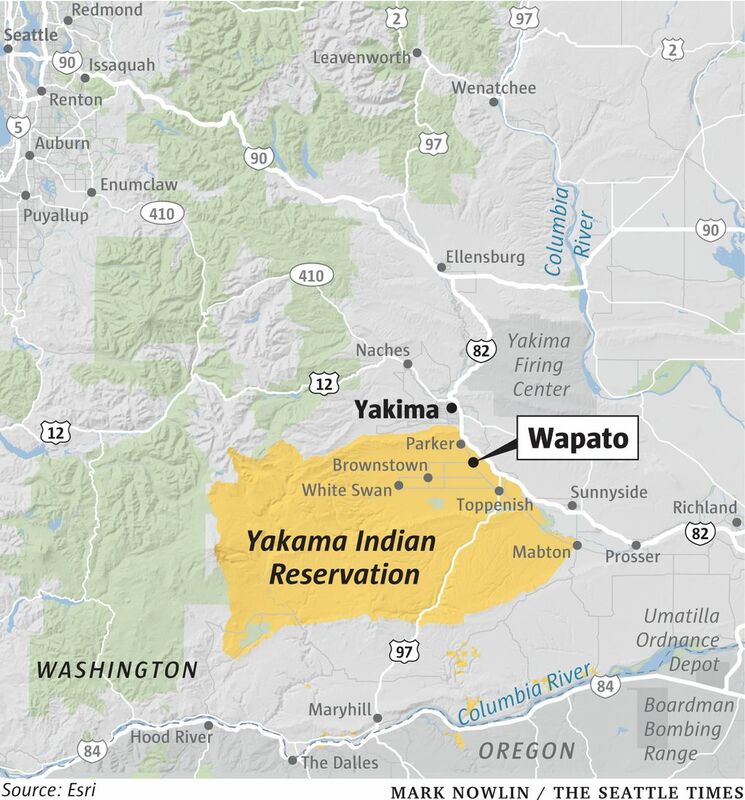 Strong is among 23 Native American women or girls who have been murdered, gone missing or suffered mysterious deaths on or near the Yakama Nation Reservation, according to a list of cases maintained by the Yakima Herald-Republic. “Our sisters can’t just go missing, or our brothers, and nothing happens, that’s why we’re here today,” said Roxanne White, to a few dozen friends and family members who gathered behind Wapato City Hall for a march and vigil on Saturday. White spoke to long-running concerns about institutional racism and poor relationships between police and Native communities that have created gaps in understanding the scope of violence against Native-American women. A recently released report by Seattle-based Urban Indian Health Institute points to a troubling lack of quality data about missing and murdered indigenous women. The report identifies 506 cases across the nation, 45 of them in Seattle, the most of any of the 71 cities studied. Strong’s sister, Cissy Strong Reyes, 35, urged anyone with information to come forward. “I sit up sometimes lying in my bed wondering if I should go to the places where she was, but I know they won’t give me an answer,” Reyes said to the crowd. According to White, Yakama Tribal Police said they would begin a search for Strong and the FBI has questioned individuals about her disappearance. White, a Seattle-based advocate for missing and murdered indigenous women and their families, is working with the Strong family to raise awareness of their lost relative. She helps families navigate the difficult journey of searching for a missing relative. The Strong family asks that if you have information about Rosenda Strong, contact Yakama Nation Tribal Police at 509-865-2933. Information from the Yakima Herald-Republic and Seattle Times archives was included in this report.